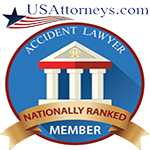 Depending on the cause of the accident, a pedestrian may be able to recover damages from those responsible no matter a negligent driver, a corporate entity or a property defect accident. As a pedestrian you risk possible injury from accidents involving cars, trucks, motorcycles, bicycles, even train and mass transit vehicles. Pedestrians involved in accidents will often sustain serious injuries, including traumatic brain injury, spinal cord injury or wrongful death. As a pedestrian you are often the most vulnerable to negligent drivers, especially in big cities, like Chicago, that have a high volume of vehicular as well as foot traffic. Under Illinois law, pedestrians DO NOT have the right of way unless they are in a crosswalk. Do you know the pedestrian laws in and around a crosswalk? If you or someone you love has suffered a serious pedestrian accident, it is important to know your rights and work with a law firm you can trust. You may be entitled to significant compensation for medical expenses, pain and suffering, lost wages, and additional financial or personal losses. 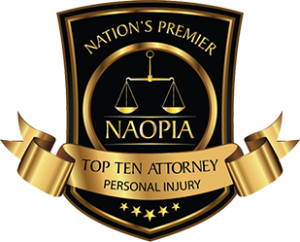 Contact Caras Law Group today for a free consultation and case evaluation. Dean Caras and his associates have years of experience handling pedestrian accident cases in Chicago and will work with you to recover your entitlements from the injuries you have sustained. For more information on Pedestrian Rights and Ordinances please visit the City of Chicago Pedestrian Information and Ordinances site here. For the City of Chicago Pedestrian Safety Tips for Adults site, please click here. F or more information on Pedestrian Safety all across Illinois please visit the Illinois Department of Transportation’s Safety Magazine website here. Pedestrian / Car Accident – $450,000 for 47 year old worker crossing in the crosswalk on Chicago struck by an uber driver, resulting in a torn rotator cuff that required 2 surgeries and 6 months off of work. 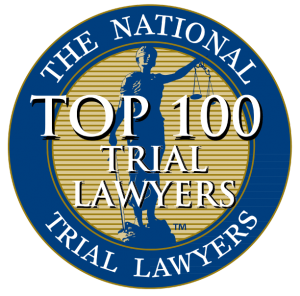 Pedestrian / Car Accident – $350,000 settlement during jury deliberations for a 28 year old pedestrian that was struck by a vehicle making a left turn. The pedestrian suffered a tibial plateau fracture when he was struck by the vehicle. Pedestrian / Car Accident – $275,000 for airline employee on his lunch break in Bensenville, struck in the parking lot of a restaurant by a minivan, resulting in a torn ACL that required surgery. Pedestrian / Car Accident – $225,000 for 64 year old woman crossing the street in Evanston Illinois, struck by a taxi driver who failed to stop at the stop sign and caused her to suffer a broken hip, which required surgery and permanent hardware.